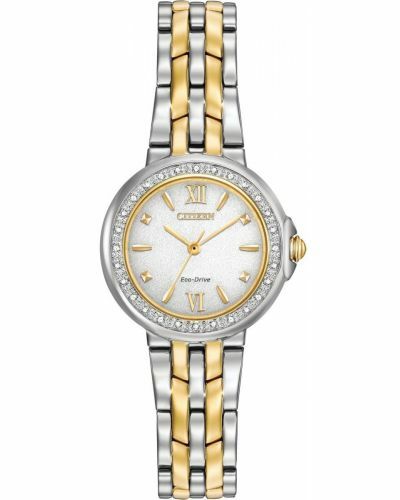 This beautiful steel ladies watch from Citizen is set with real diamonds around the bezel for that wow factor. 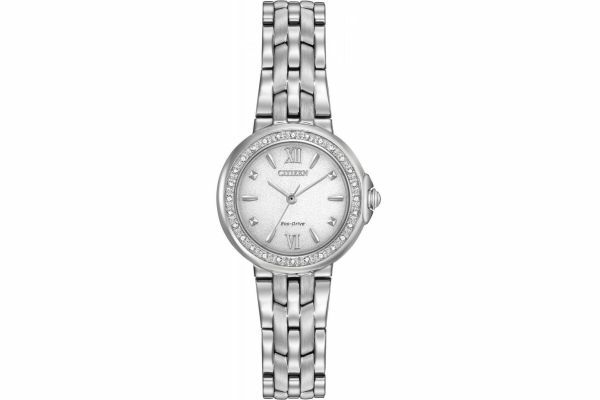 The dial has a white sparkle pattern with steel indexes. 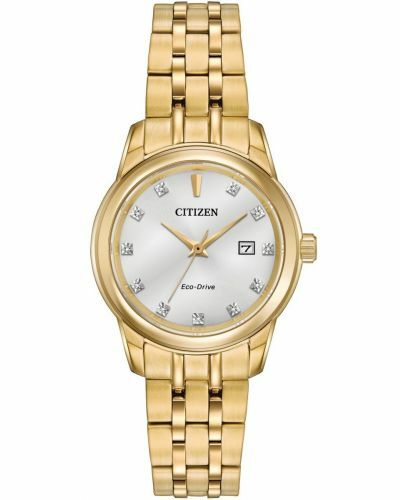 The watch is powered by Citizen Eco Drive technology and comes with a 5 year guarantee. 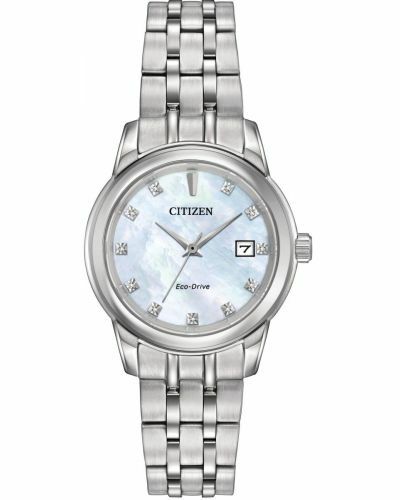 For us to size your new Citizen Diamond Collection watch as accurately as possible, please take a look at our downloadable Watch Sizing Guide.